Fingal’s Ghost, by Kathleen Fidler, is a wartime adventure in which plucky children foil a German spy plot involving a submarine. My forthcoming book, The Wreck of the Argyll, is a wartime adventure in which plucky children foil a German spy plot involving a submarine. 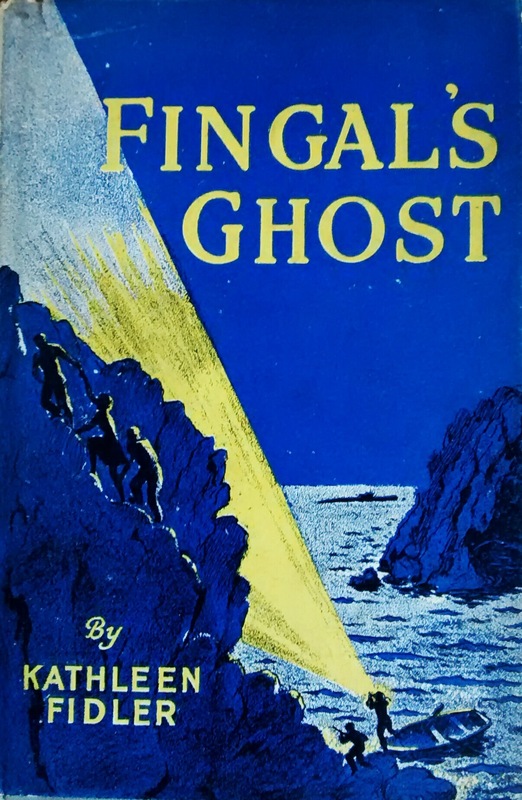 But, honest, I read Fingal’s Ghost just recently, long after I’d completed my own book! The paper is thin, the type is narrowly-spaced, and there’s none of this wasteful “start chapters on the right-hand page” nonsense that can leave an entire blank page. To us, this is an historical adventure, but when it was written, it was considered contemporary fiction. And look at that gorgeous cover. Just two colours, but it’s incredibly striking and dramatic. During the Second World War, Frank and Jane are sent to stay with their uncle on the isle of Ulva, just off Mull in the Inner Hebrides. They’re befriended by the local lad Alistair, who acts as their tour guide, helping them explore the island and find the best places for fishing and swimming. Of course, being plucky, adventurous types, the three children hatch a plan to row across to Staffa for the next full moon and find out exactly what it going on. 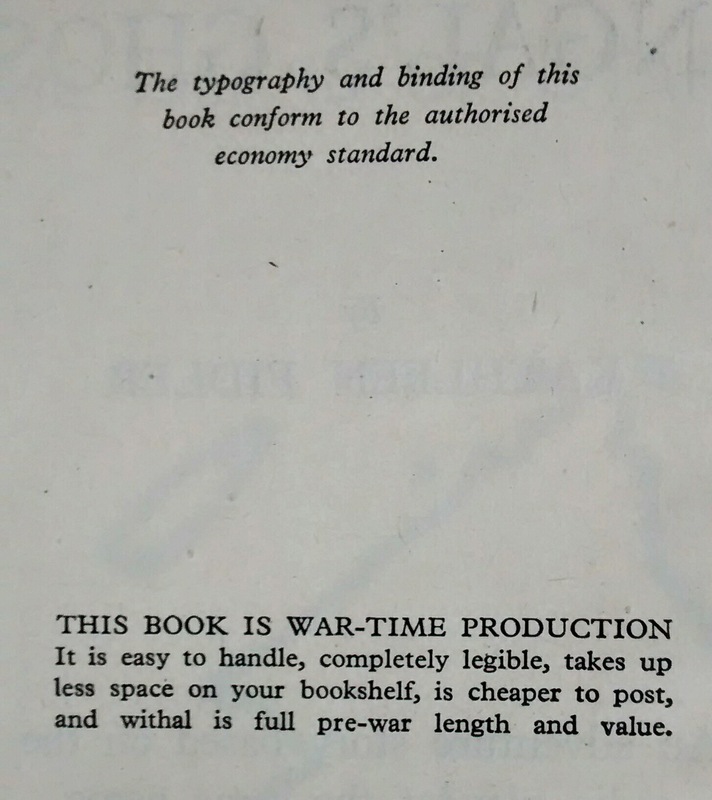 Needless to say, the truth is stranger and more dangerous than they bargained for, and soon they’ve discovered a cache of secret plans and are chased by traitors and armed German submariners. They have to use all their wits and ingenuity to both save themselves and foil the plot. Frank and Jane are identikit 1940s adventurous children, and even Alistair Mackinnon (who’s supposed to be a Hebridean islander) speaks in “I say, you are a brick” Home Counties upper-middle-class boarding-school cod-Blyton language. But the pace is superb, there’s enough humour to lighten the mood (mostly revolving around Jane’s obession with eating) and the Hebridean setting is wonderfully evocative. This is a wonderful little book, full of charm and excitement. It’s very much a product of its time, but that just add to the authenticity. Sounds like some kind of genuine antique you’ve read there John! I love books with really old bindings.